Oil giant Royal Dutch Shell has announced it has shed 6,500 jobs as part of cost-cutting plans as it seeks to counter falling oil prices. The job cuts comprised part of its $4bn reduction in operating costs. 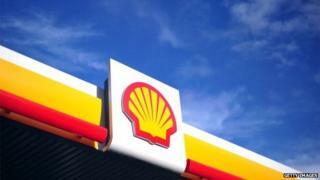 Shell, which currently employs about 94,000 people, said it is also scaling back its oil exploration operations. The firm announced profits of $3.4bn in the three months to 30 June, a 35% decrease compared with last year. It said the job cuts affected contractors as well as Shell employees, and included job losses at its operations in the North Sea and cuts resulting from divestments in Nigeria. Shell said that it was "planning for a prolonged downturn" in oil prices. The price of oil is currently about $53 a barrel, sharply down from about $110 a barrel a year ago. Chief executive Ben van Beurden said: "We have to be resilient in a world where oil prices remain low for some time, whilst keeping an eye on recovery. "We're taking a prudent approach, pulling on powerful financial levers to manage through this downturn, always making sure we have the capacity to pay attractive dividends for shareholders." It also announced that it was selling a 33% stake in its Japanese business, Showa, to petrochemical group Idemitsu for about $1.4bn. Shell said it had seen $20bn of asset sales in 2014 and 2015, and it expected to see $30bn in sales between 2016 and 2018. "Today's oil price downturn could last for several years, and Shell's planning assumptions reflect today's market realities," the company said. "The company has to be resilient in today's oil price environment, even though we see the potential for a return to a $70-$90 oil price band in the medium term." In April, Shell announced that it was buying gas giant BG - the UK's third-largest energy company - for £47bn. In its latest announcement of job losses, Shell said its deal with BG "should enhance our free cash flow" and be "a springboard to change Shell into a simpler and more profitable company". It added that it planned to reduce costs further in 2016.